Have you seen our gluten free directory? This has been developed and in use since 2014, this map has helped a large amount of potential customers find a local gluten free shop, either if they offer a gluten free menu or day/s. This gluten free fish and chip shop map once again has been updated, but don’t worry – if you have previously signed up to have your shop on the map it will still be there. 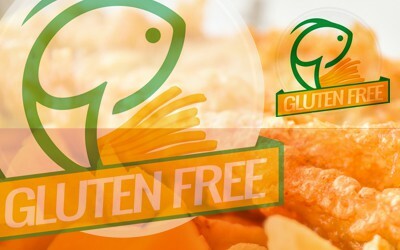 Offering gluten free menus or days is becoming more popular with fish and chip shops as there is now a higher awareness of how big the gluten free audience has become. If you are not currently offering a gluten free menu or day, is it time to consider it? If you offer a gluten free menu or day, make sure you sign up to be included on our directory, this map will allow customers to easily find your business, including your address and contact details. Signing up is easy and quick, feel free to register your shop here – you will find the form at the bottom of the page. Need Help With The Directory? If you need any help, or would like to make a change to your current listing on the gluten free map, feel free to contact us by filling in our contact us form here. We will get any changes done as quick as possible. Around 1 in 100 people suffer from Coeliac Disease according to Coeliac UK. This is a large amount of potential customers that can only eat gluten free products, but if you want to offer a gluten free menu or day, there are certain things you need to consider – including contamination and the equipment you use. If you would like more information on gluten sensitivity and Coeliac Disease, click here to visit the Coeliac UK website. Are you interested in offering a gluten free option in your business? If so, here are some tips you may find useful and want to consider before offering a gluten free option. Frying in the same oil as battered or breaded products involves a risk of cross- contamination. You should use separate, clean oil to fry chips and gluten-free battered fish. Filtering the oil will not be enough. Separate equipment to avoid contamination; whisks, tongs, scoops, baskets etc. Need Help Offering Gluten Free Products? 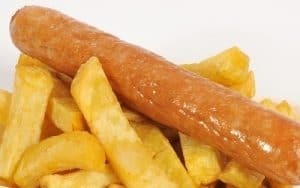 Here at Friars Pride we want to help you get the most out of your business, while we are a fish and chip shop supplier we are also a family business that cares. 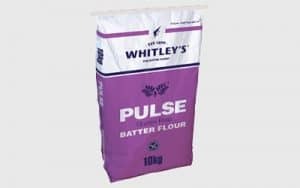 If you need any help around offering gluten free products in your shop, feel free to contact your sales manager or you telesales operator, they will be happy to talk to you about gluten free products and options we have. Alternatively, you can click here to send us an email. To stay up to date with the latest news and information, make sure you sign up for our Digital Good Habits magazine. This magazine will be emailed to you bimonthly with the latest special offers and news, including useful hints and tips that may help your business. If you are interested in finding out more information about our Good Habits magazine click here, or if you would like to sign up to receive Good Habits into your inbox packed full of great offers and news click here. Save & Select Frymax offer letters are in the post! Batchelors Mushy Peas #Peasydoesit hits first shop!